July was an awesome month of MMA. So awesome that its top 5 was actually kind of a top 6…! But unfortunately, it turned back into a top 5 as we did lose one of the top bouts in the featherweight title clash pitting champion Max Holloway against the challenger Brian Ortega. Closing out the Summer with the month of August we get some very solid matchups. Not a lot of name value but hey, it’s the action inside the cage that really matters. Just because we only have two UFC events taking place this month it doesn’t mean that they don’t have some stellar matchups. 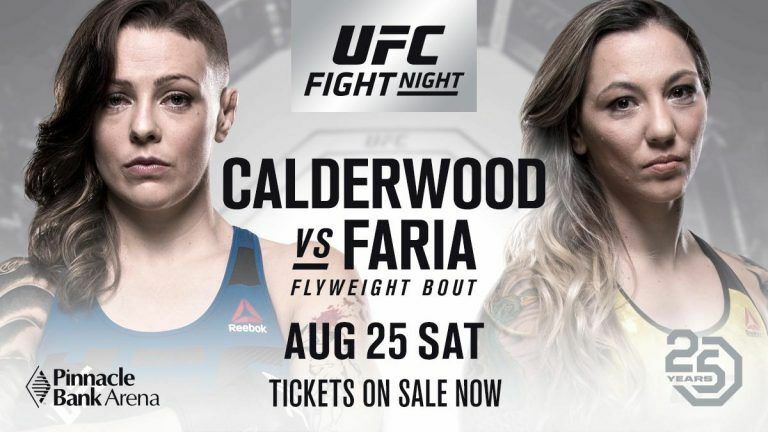 Kalindra Faria attempting to rebound and find her first UFC victory over the returning Joanne Calderwood is one of them. A fan-favorite going back to her Invicta FC days, Calderwood has unfortunately failed to live up to her hype since entering the UFC as she’s gone 3-3 in the promotion. Known for her clean and dangerous Muay Thai striking skills, Calderwood has found that the cuts to 115-pounds have become too much and now believes it’s time to make flyweight her permanent home. Which doesn’t seem like the worst idea when considering that arguably the most impressive win of her career came in her last time out at 125-pound when she finished Valerie Letourneau via third-round TKO (her only win by finish since 2013). That June 2016 victory over Letourneau was actually also her last as she’s lost twice since then to Jessica Andrade and Cynthia Calvillo. So a win is certainly needed for the former TriStar product turned Syndicate MMA member. Also searching for a much-needed win after losing two in a row is the Brazilian, Faria. Despite the razor-thin split decision that she suffered in her last fight against Jessica Eye, it was a much better showing for Faria compared to her UFC debut as she showed her full range of skills. Not that those familiar with her didn’t know of her talents already as Faria is very capable of winning fights in any way as she has won seven of her 18 professional bouts via knockout and five by submission. Stylistically, both are great Muay Thai strikers meaning that the fight should definitely play out on the feet. Having really only lost to some of the best in the world throughout her career, it will be interesting to see if Faria can spoil “JoJo’s” big return after she’s had a year off. If Cub Swanson is fighting and you consider yourself an MMA fan, you best be tuning in. Taking on a young and hungry up and comer in Renato “Moicano” Carneiro, Swanson will be looking to avoid extending his two-fight losing streak to three. Which would be the longest losing streak of his 34-fight career. So the potential is clearly there for Moicano and he’s looking to break out in this fight with another high profile victory that would launch him up the rankings. 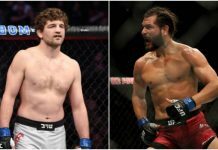 Both men are very well rounded and dangerous where ever the fight may go as both hold BJJ black belts along with black belts in Judo for Swanson and a black belt in Muay Thai for Moicano. Seeing as Moicano is the more cerebral striker of the two, it will be fun to see if Swanson can lull him into his usual back and forth war that we always love to see. 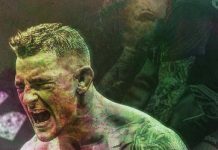 RIZIN’s biggest lightweight star is back! Having really found his stride since joining the organization, Yusuke Yachi looks to keep on keepin’ on by taking out Bruno Carvalho in Carvalho’s RIZIN debut. 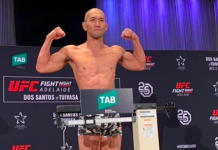 Yachi currently rides a very impressive six-fight win streak that includes four-finishes (three KO/TKOs, one submission) some of which over the likes of Daron Cruickshank, Diego Nunes, Takanori Gomi and Satoru Kitaoka. A consummate finisher himself, Carvalho provides a fun matchup for the Krazy Bee product. RIZIN is always putting on great action as evidenced by their most recent event and this fight will surely lead the highlights to come once we get to the 12th. Even if it is quite the pointless rematch, the fight itself is always going to be very fun and wildly intriguing. It may even be more so a second time around. 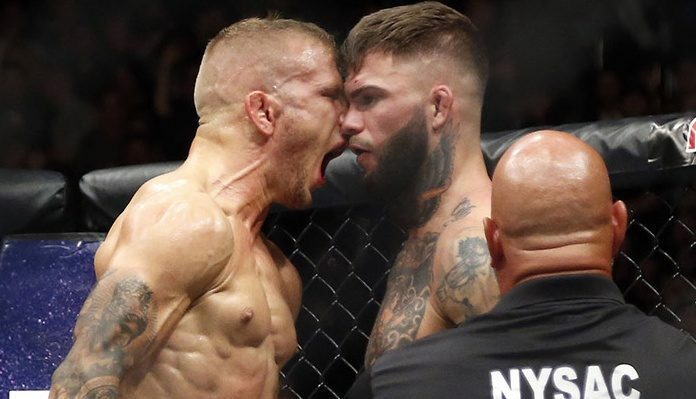 The rivalry between TJ Dillashaw and Cody Garbrandt/Team Alpha Male is very well documented at this point and there continues to be no love lost between each side of the fence. 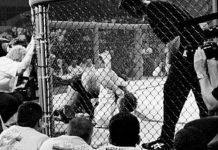 In the first fight, each man had their moments of success. For Garbrandt, he hurt Dillashaw badly at the end of the opening round in almost identical fashion to how he did so in their infamous sparring knockdown video. 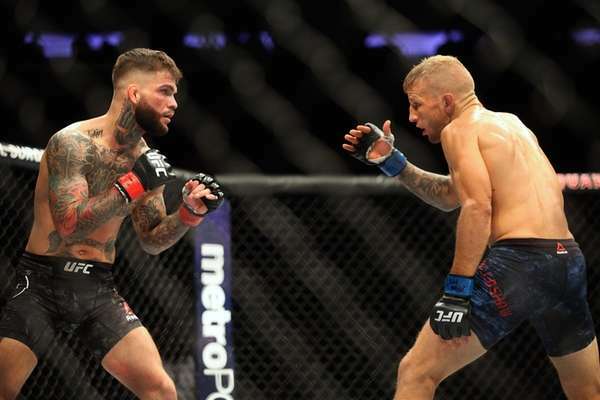 It’s been argued that Dillashaw was saved by the bell according to Garbrandt and his already high confidence skyrocketed after scoring the knockdown…possibly to his detriment. Garbrandt would get dropped early in the following round by a head kick then finished soon after by a Dillashaw punch counter against the cage. What adjustments can be made and how they’ll be implemented is always interesting going into rematches. Especially one with such high-level fighters in such a heated rivalry like this one. Did you expect anyone else in the top spot?! Whenever Justin Gaethje has a fight coming up, it will be hard to imagine his fight not being ranked at least in the top 2…and for good reason. Constantly entertaining and having won the fight of the night award in all three of his first three UFC bouts, along with two fight of the year nominations and one win, James Vick wasn’t even his original opponent. This fight belonged to Al Iaquinta initially and it still would have gotten the top spot. That’s why Gaethje is called “The Highlight”. Having lost for the first times in his career in his recent two bouts, Gaethje is looking to get back on track by taking out the highly underrated Texan in Vick. 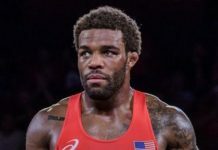 Vick’s current four-fight winning streak consists of three finishes (two KO/TKOs, one submission) all over solid opponents like Francisco Trinaldo, Joseph Duffy, and Abel Trujillo. 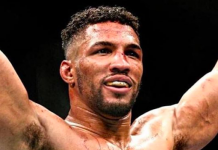 The very rangy 6’3″ lightweight, Vick has only suffered defeat once in his entire 14-fight professional career and has his confidence now at an all-time high. We know what Gaethje likes to do in the Octagon and that’s going to war. Seeing how each will deal with their different striking styles/approaches will be a pleasure to watch and as much as Vick doesn’t want to be drawn into that vintage Gaethje slugfest, that’s a task that is much easier said than done.